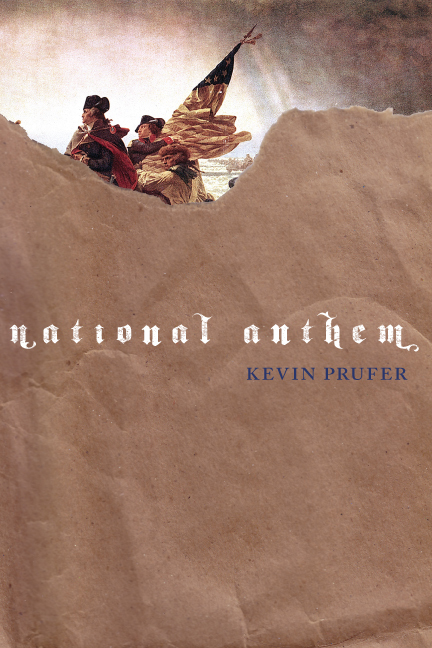 The poems in National Anthem, the fourth collection of poetry from critically-acclaimed poet and critic Kevin Prufer, are finely-studied short films about America in the 21st century. Set in an apocalyptic and post-apocalyptic world that is disturbing because it is uncannily familiar, National Anthem chronicles the aftermath of the failure of imperial vision. Allowing Rome and America to bleed into one another, Prufer masterfully weaves the threads of history into an anthem that is as intimate as it is far-reaching. “Sometimes, I can hear the nation speak through the accumulation of the suburbs,” writes Prufer, and his ear is well-tuned to listen, because it is the individual experience that he attends to: the life of the dead soldier, the ring on the finger of a girl killed in a flood, the writing of love notes while the empire collapses. He is a candid guide through bombed streets and shopping centers that call “give me, give me.” Amid corpses and conflagrations, he finds what, if it isn’t hope, is resilience enough.